Chief ministerial candidates: It is called the Revolving Door Syndrome and since it originated in Delhi, the state’s CM hopefuls know how it works. Sheila Dikshit has admitted her era is over but it is the BJP that faces the problem thanks to new faces, a.k.a Kiran Bedi, who has triggered another round of musical chairs with her entry into the BJP, unseating other CM hopefuls, from Harsh Vardhan to Meenakshi Lekhi, Smriti Irani and others. If she does get the nod, and the chair, she will be the 11th new chief minister during 2014-2015, including J&K, currently waiting for a CM. That makes chief ministers as endangered as the snow leopard. The educated youth: It used to be science, commerce and humanities streams. Now there are just two, according to Home Minister Rajnath Singh. His take is that India’s educated youth are divided into two streams — one that is putting knowledge to good use, and the other, highly educated, who are becoming terrorists. Considering that youth account for 65 per cent of India’s population, that’s not a stream, it’s a raging river. Plus, if the second stream is that large in numbers, then we are all an endangered species. Senior government servants: Is Defence Minister Manohar Parrikar becoming a bit of a loose cannon? By sacking Avinash Chander, head of the DRDO, 15 months before his tenure was to end, he’s resurrected the age-old question over age, taking the defence that the organisation needed someone younger. It wasn’t so much the manner of termination — Chander heard about his sacking from the media — but the larger message: that contrary to all scientific findings, 60 is not the new 50. The LGBT community: Goa’s sports minister Ramesh Tawadkar’s declaration that the government was planning to set up centres to administer treatment to LGBT youths to make them “normal” has raised serious concerns about ministerial qualifications. That the Goa government has discovered a “cure” for homosexuals is not so scary as the fact that the gentleman in question is also minister for youth affairs. Under his tutelage, they are definitely headed for the endangered list. 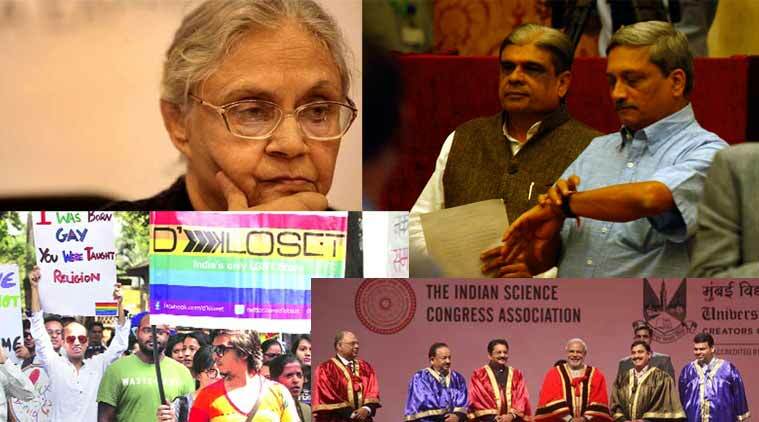 Scientists and rationalists: Those with a scientific temper were quite ready to show it after the recent Indian Science Congress which had everyone in splits, or at least split over some of the papers presented by some delegates. One showed how selfless Indian scientists discovered the Pythagoras theorem, but graciously gave credit to the Greeks. Similarly, algebra was known much before the Arabs claimed credit, but the height of absurdity, literally, was the ‘scientist who claimed that airplanes existed in India 7,000 years ago which travelled from one country to another and one planet to another’. Quite spaced out, was the verdict. The Congress: It’s like a frozen tableau at the Republic Day parade; in the middle, the stern-looking lady, flanked by the silent one, and then the anointed heir. Mother, Son and Holy Ghost in Biblical renderings. Sonia, Manmohan and Rahul still preside over a party that is clearly on the endangered list and desperate for a miracle. That would have to be equal to the Resurrection, as in rising from the dead.